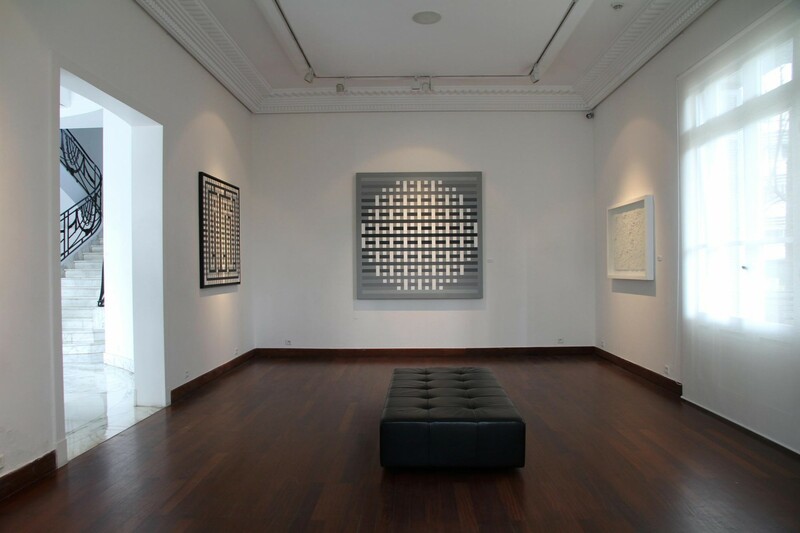 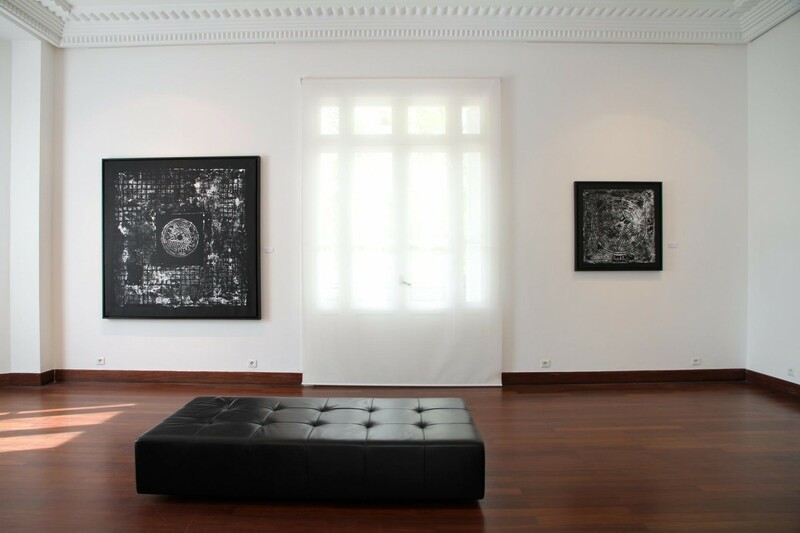 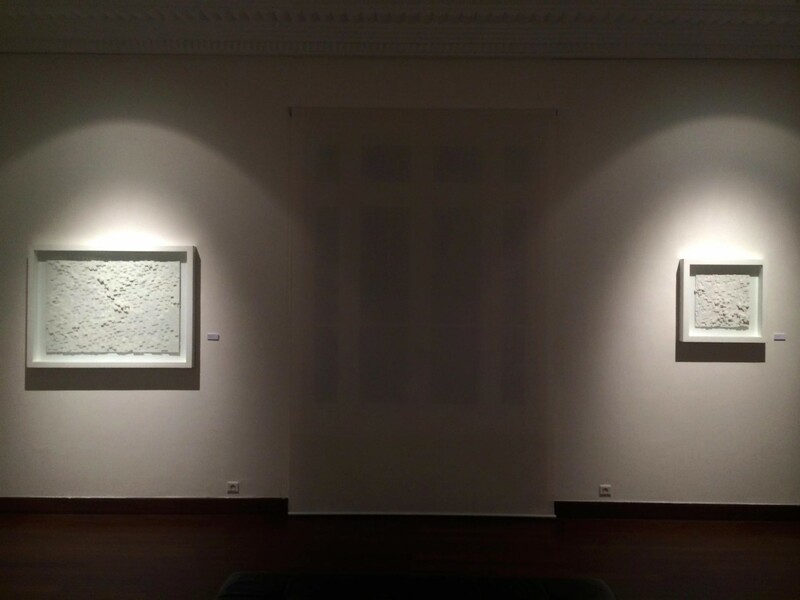 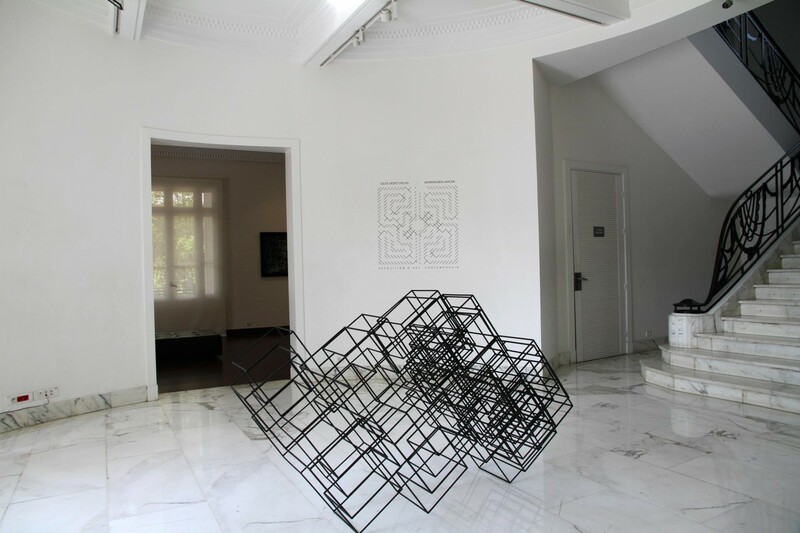 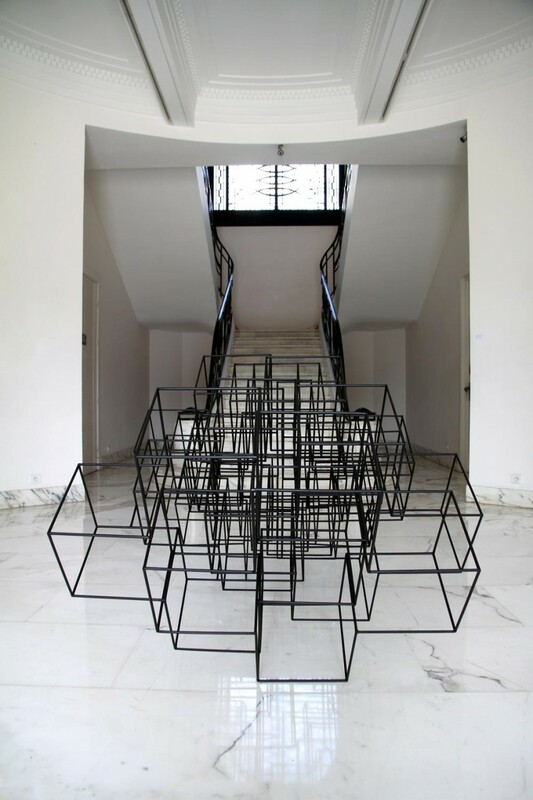 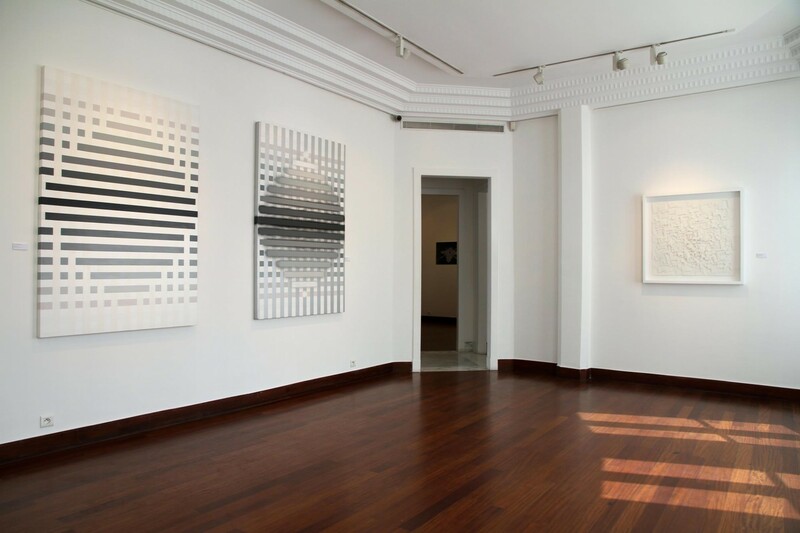 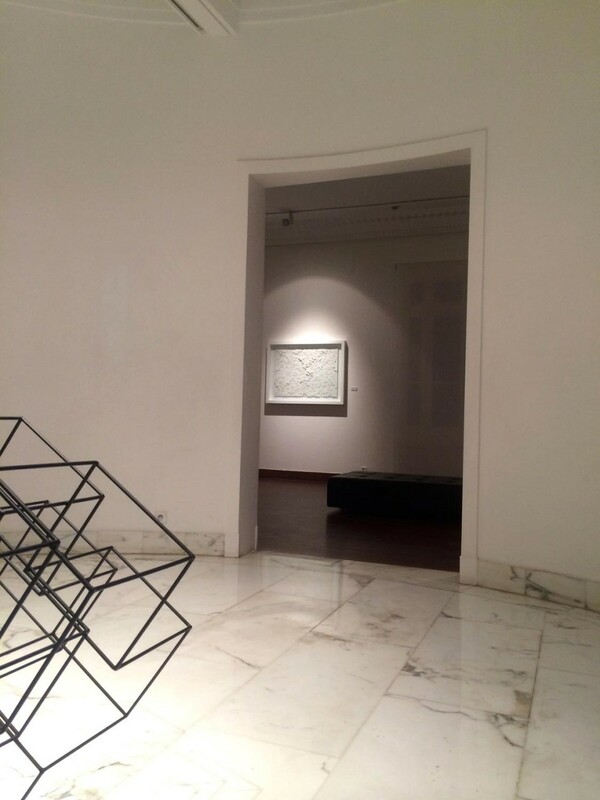 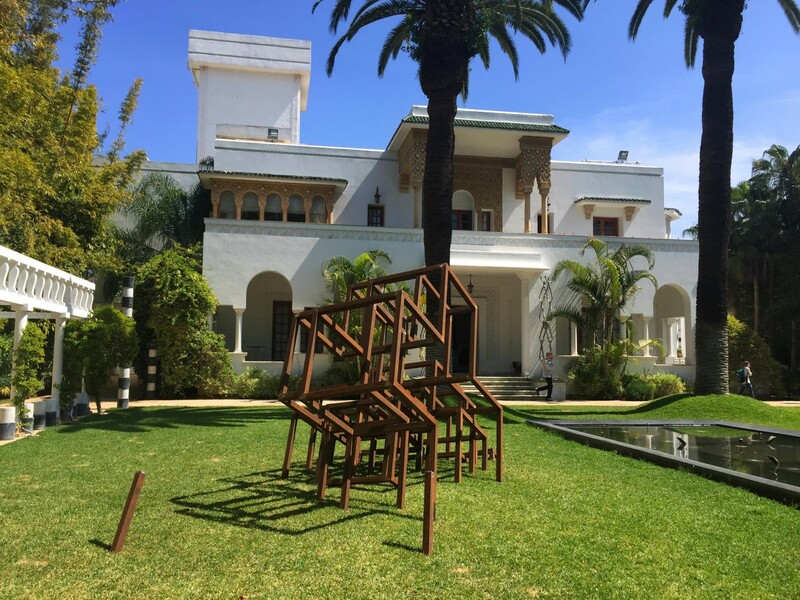 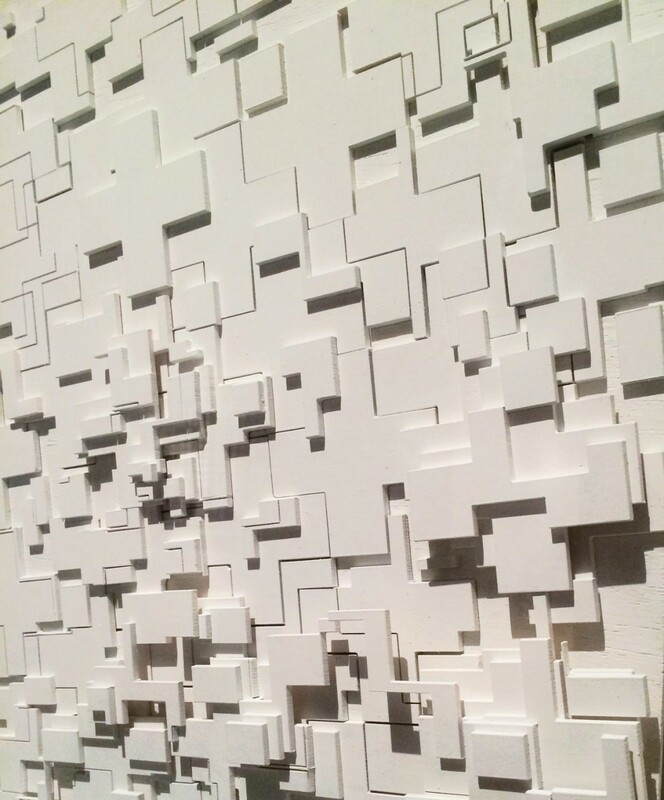 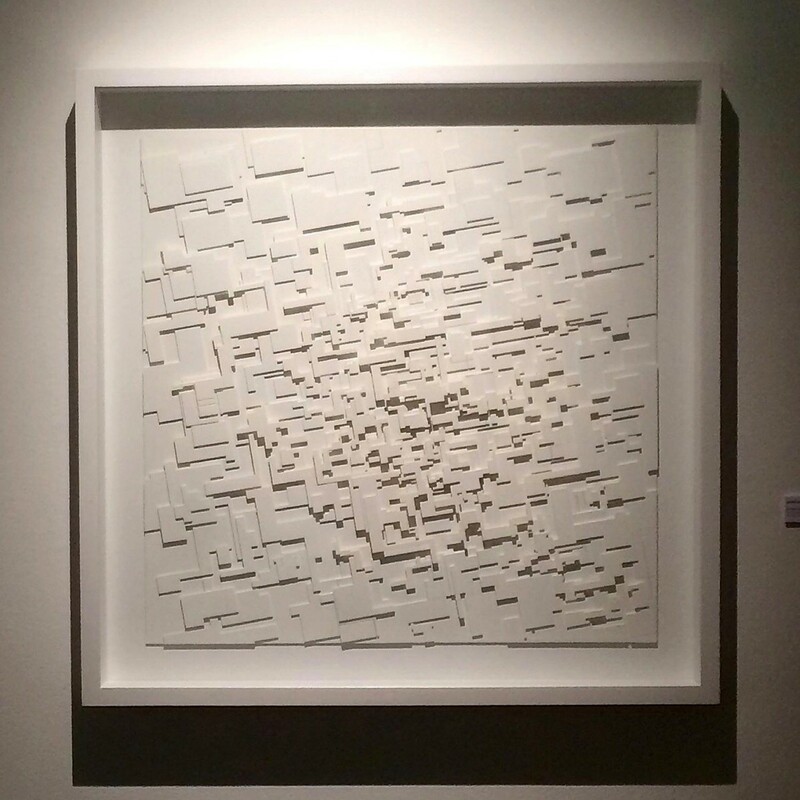 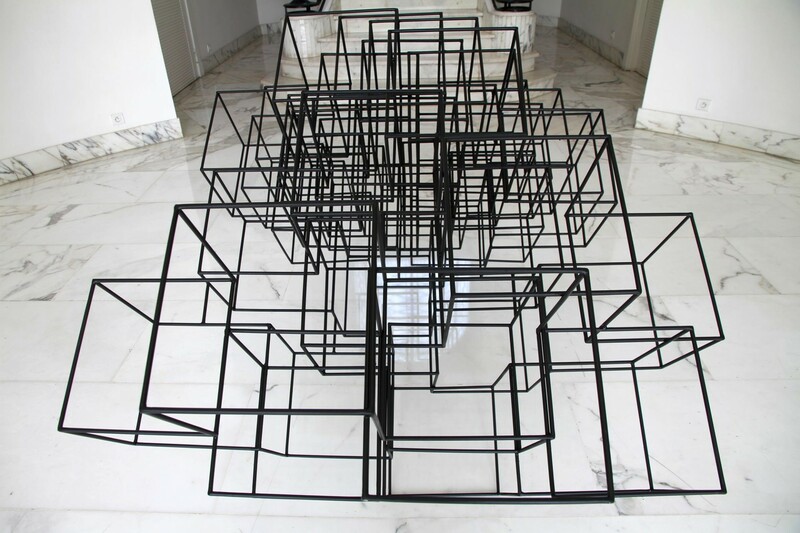 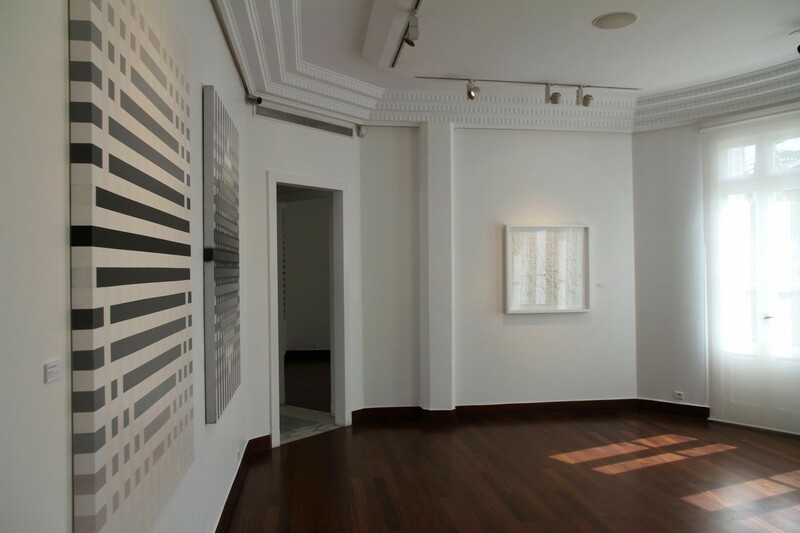 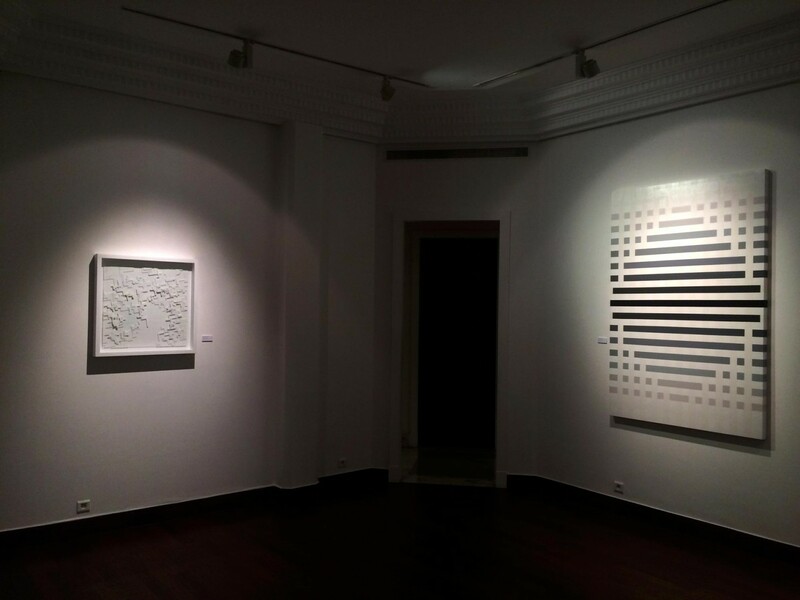 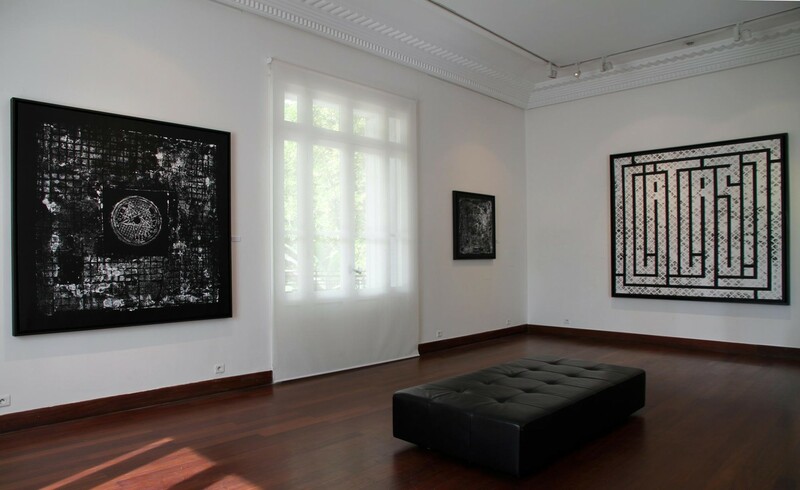 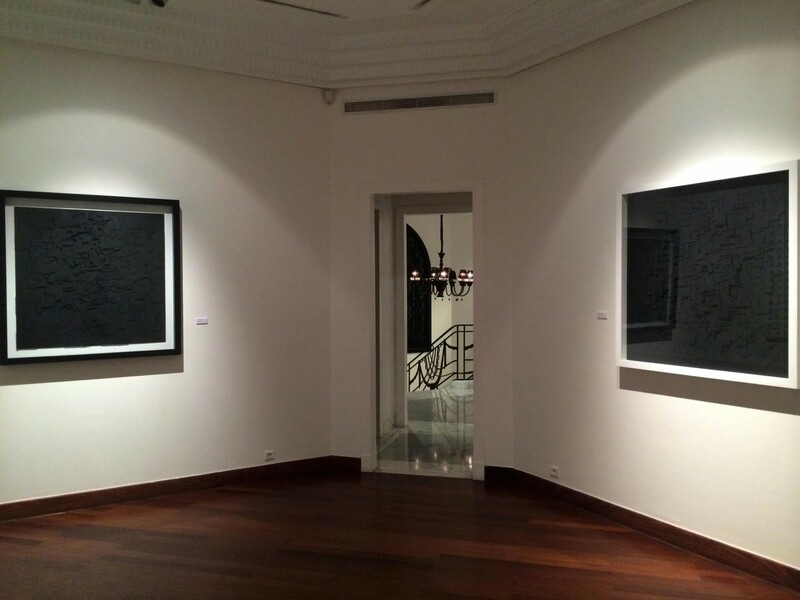 French and Moroccan artists L’ATLAS and Morran Ben Lahcen will present from April 16, 2015 a common exhibition of contemporary art, under the aegis of the ONA Fundation, at the Villa des Arts in Rabat and Casablanca. 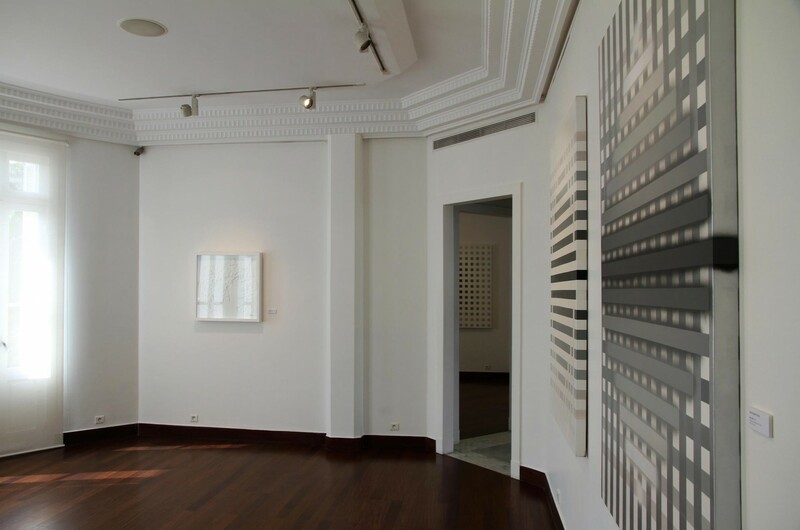 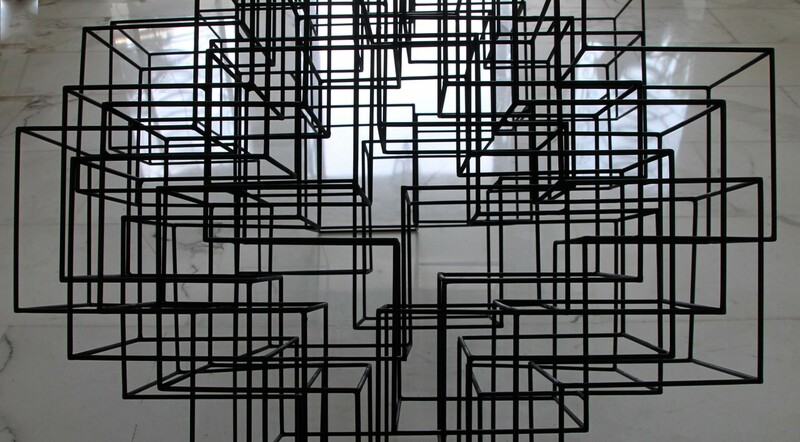 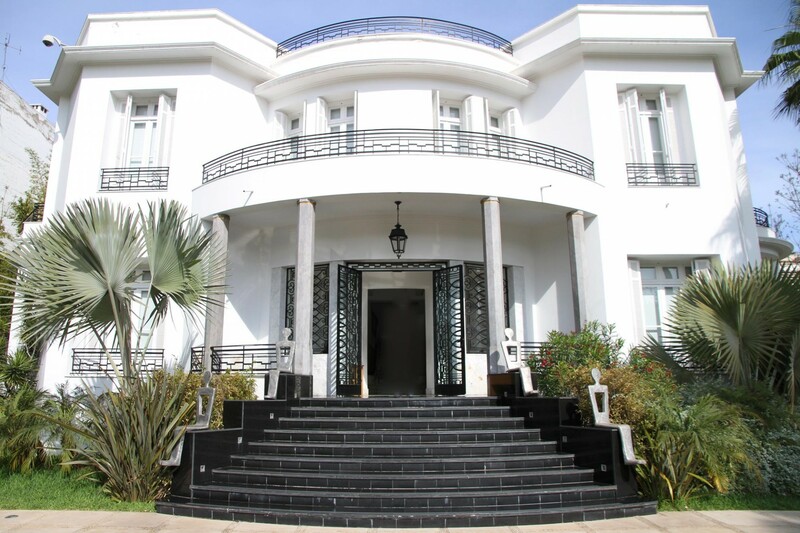 The opening will be held in the presence of the artists at the Villa des Arts of Casablanca on April 16 at 7:00 pm. 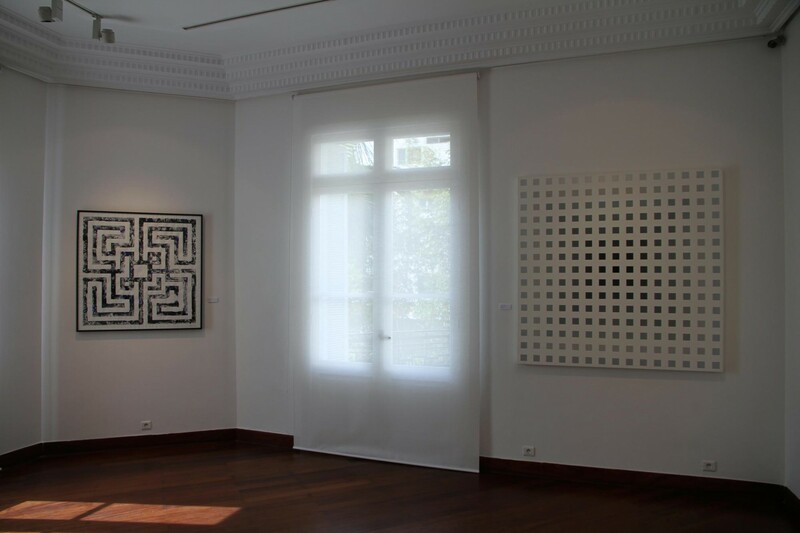 The exhibition will continue until May 16, 2015. 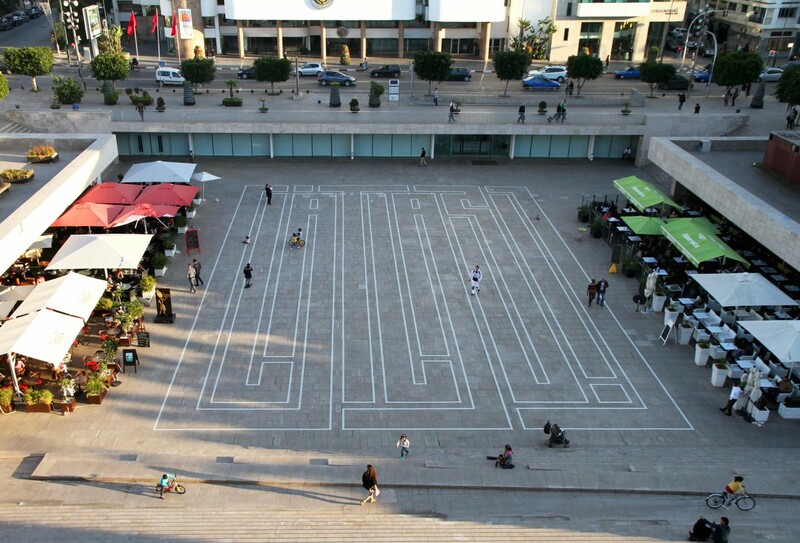 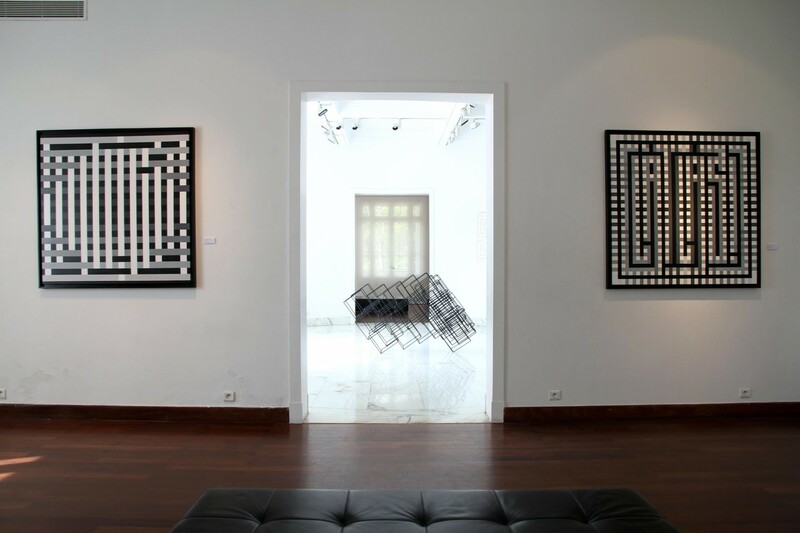 Resulting from a residency between Morran Ben Lahcen and L’Atlas, the exhibition features two artists and two places : on the one hand, the Villa des Arts of Casablanca, with a program of exhibition, installations and conferences; and on the other hand, la Villa des Arts and The Moulay al Hassan Square in Rabat, showcasing some urban performances. 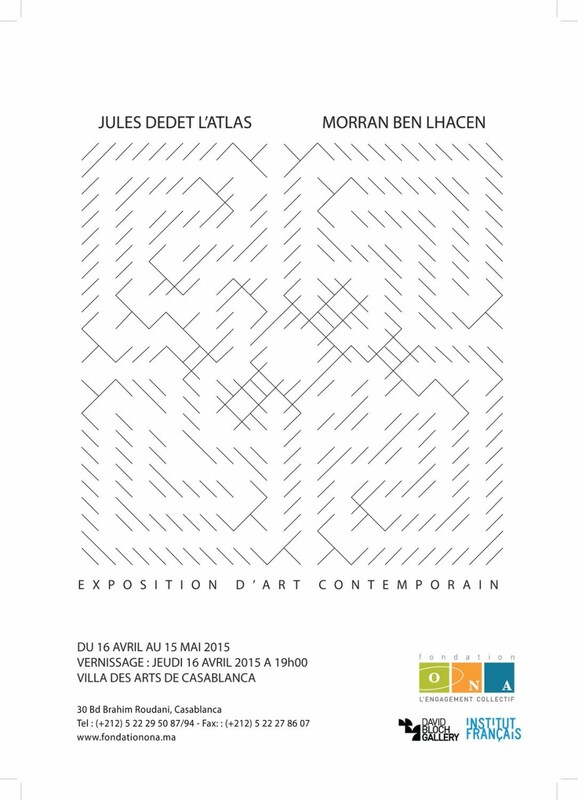 The exhibition gathers two young contemporary artists, L’Atlas and Morran Ben Lahcen, whose personal universes merge in a search for abstraction and minimalism, both in the arena of formal composition as inthe sparing use of color. 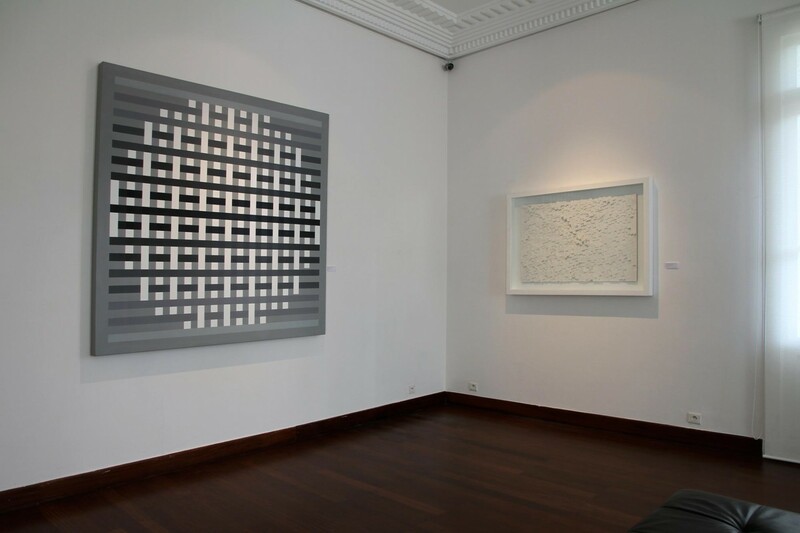 Both artists have started and spent numerous years in street interventions, before evolving to the use of conventional techniques of contemporary art and developing a unique and personal style in many hours of work and effort in the secrecy of their ateliers. 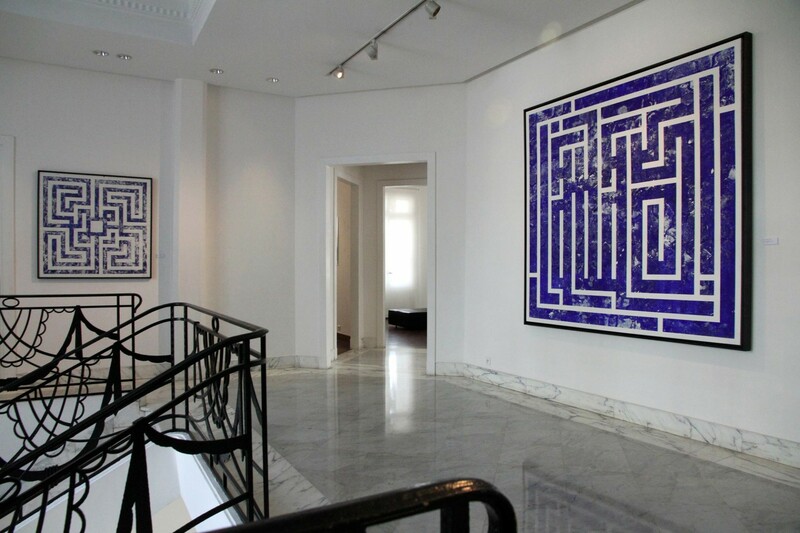 L’Atlas is a French contemporary artist, who is profoundly influenced by eastern thought and the history of writing. 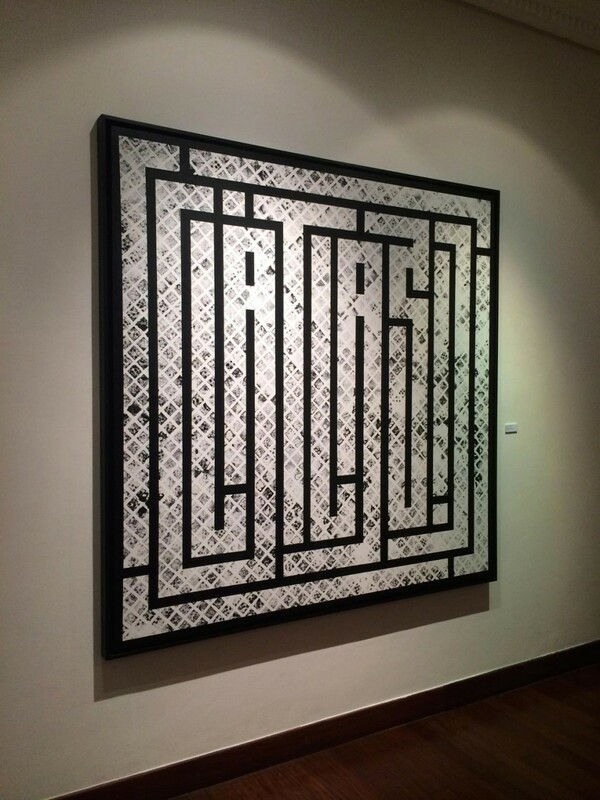 After starting with spray cans and graffiti in the 1990s, he studies the art of Arabic calligraphy in Morocco and Egypt, and invented a very singular writing, universal and labyrinthine: theartist reinterprets the Latin alphabet by submitting it to the Kufi’s techniques, which is geometric Arabic calligraphy. 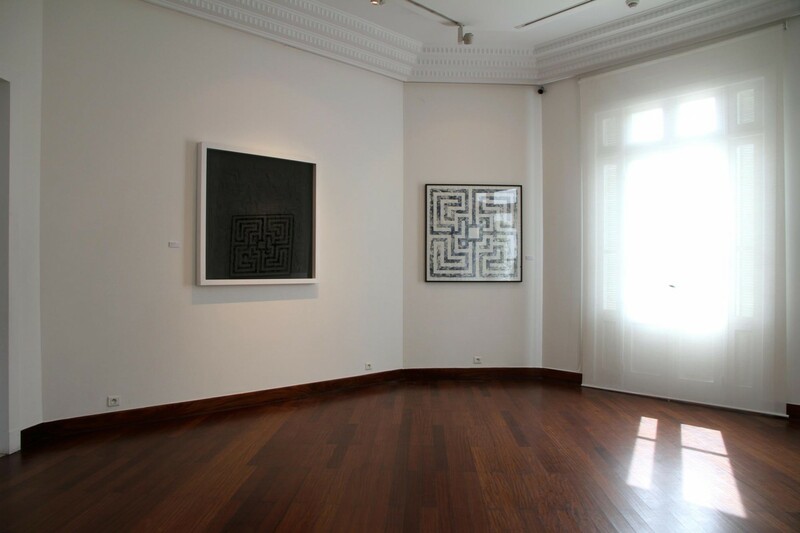 The eastern thought, that duality is a source of complementarity, occupies a prominent place in his life and in his art. 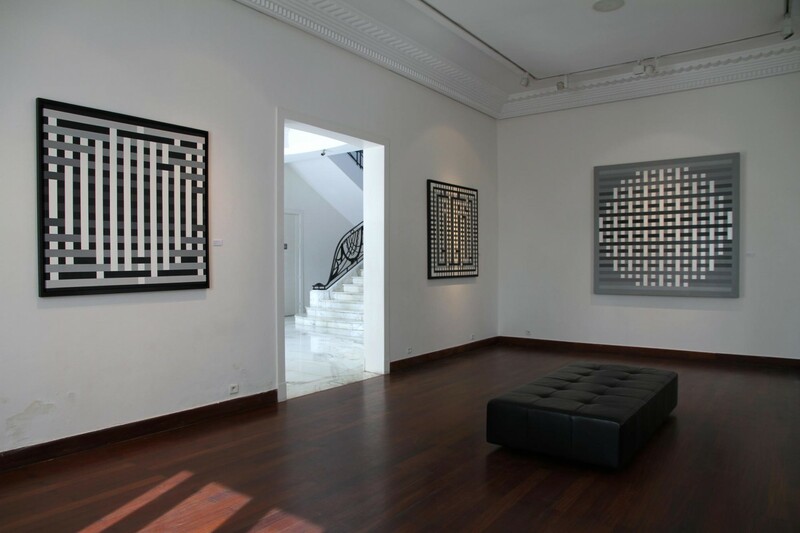 There is indeed a recurrent dichotomy between white and black in most of his artwork’s compositions. 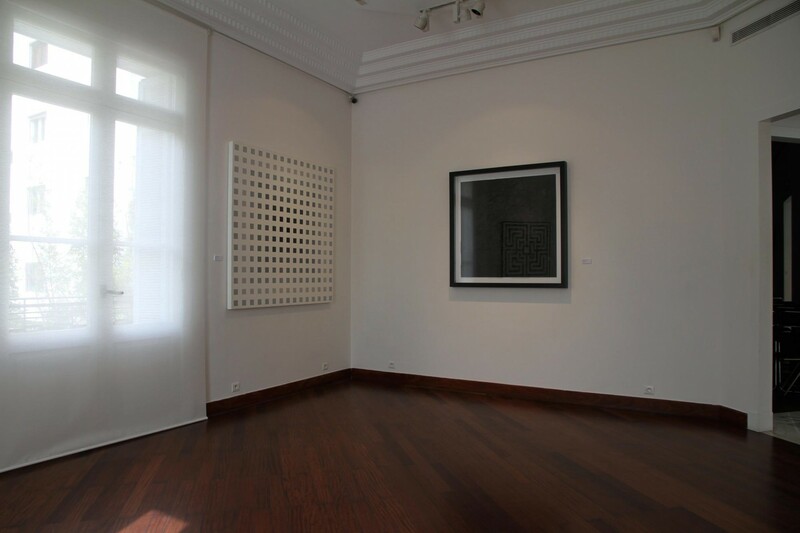 Some works have an almost hypnotic effect; the eye takes refuge in the black line to follow the way suggested by the artist. 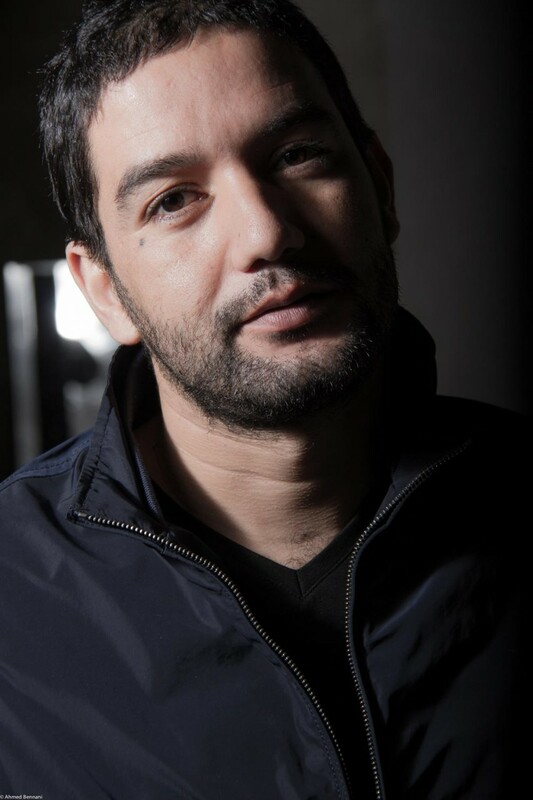 Morran Ben Lahcen is recognized as the pioneer of graffiti in Morocco, and a key figure of the contemporary artistic creation in the country. 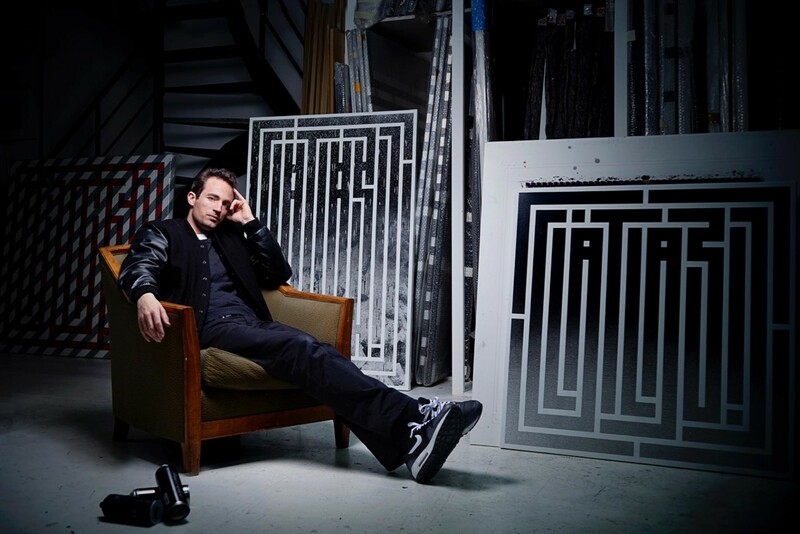 He became involved in the graffiti milieu in the 1990s and since then, he has developed his own graphic signature thanks to his ability to reinvent himself and to express new technics. 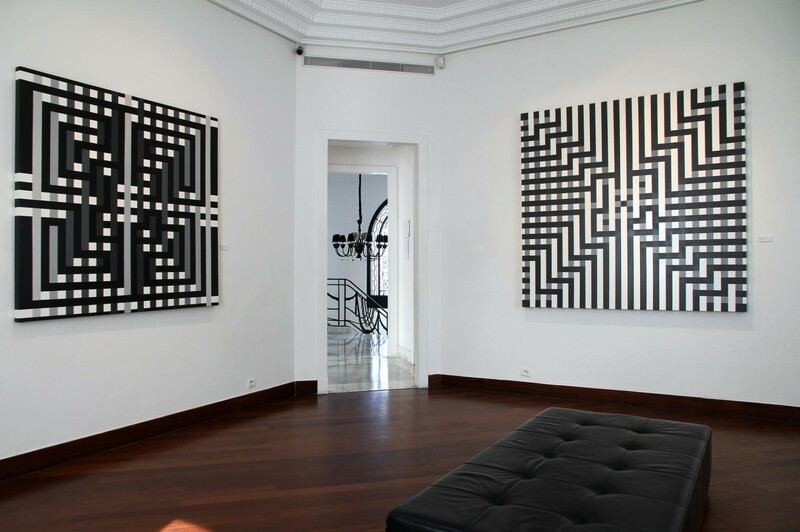 From the streets to his studio, he is obsessed since very young by a gesture he would like to reproduce endlessly: the drawing and shaping, color coding and dynamic movement.